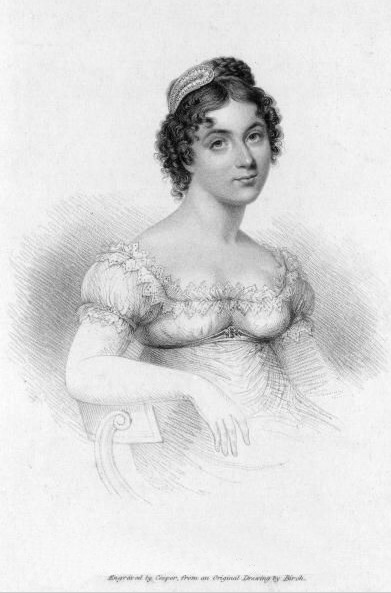 I wrote about Harriette Wilson’s younger sister Sophia in an earlier post, but Sophia’s story didn’t end there and nor did Lord Deerhurst’s villainy. Here, Harriette tells us what happened next for her sister. For anyone who hasn’t read this series of post before, here’s the background, if you have read them already then please skip to then end of the italics as usual. I have already made it clear in earlier posts, speaking of Lord Deerhurst, the man was a miser. So, of course, when he is ready to dispense with the very young Sophia, who he seduced without shame, leaving her little option other than to become a courtesan, does he do it honestly? A man who would drive his carriage at speed through a toll gate, rather than pay a few pennies? Hardly. No Lord Deerhurst deploys more trickery. Harriette says she happened to call on her sister at eight in the evening, and not long after she arrived, the young Colonel Berkeley arrived too. He was a friend of Lord Deerhurst’s and ever since Deerhurst had set Sophia up in – what Harriette deemed – a shabby house – as his mistress, Colonel Berkeley had been a regular caller, it had been clear he liked Sophia, a lot, but Harriette claims there was nothing inappropriate going on between them. However, barely minutes after the Colonel arrived, Lord Deerhurst came in, and then immediately cried out, appearing distressed and horrified with Sophia, claiming he had never thought she would treat him in this way. Harriette says he cried very real looking tears, and was in so much distress he sat on the stairs while the landlady fetched him some refreshment. His inference was, poor Sophia had been playing him false with the Colonel, “Did you believe that young creature so depraved?” He said to her landlady. But Harriette was a little older and wiser to believe his nonsense, especially when the Colonel did not appear to be bothered by the appalling charge, in the least, and adding to that, she knew the two men were close friends and they had arrived within minutes of each other, Harriette’s suspicion was tweaked. He denied it of course, as did the Colonel at first, but once Deerhurst had left, the Colonel, believing his friend truly upset now, said he had better follow but he had to wait for his vehicle, and admitted driving here in Deerhurst’s carriage. Harriette asked to go with him, and he took her there. Harriette discovered Lord Deerhurst fully restored at home. But Colonel Berkeley was still uncertain if Lord Deerhurst had been upset or not, wondering if the Colonel’s attentions to Sophia, all be they innocent, had truly caused his friend offence, and he charged Lord Deerhurst to make himself cry again and prove he had not really been upset. Which Deerhurst did, proving Harriette right. She must have cursed the day her sister first met this fool. Harriette, in these aspects of her memoirs, implies that she’s really protective of Sophia, their relationship does change later, but I wonder if at the time, Harriette felt guilty for having set Sophia such a poor role model. Posted on May 19, 2013 by janelark •	This entry was posted in Regency Stories, Scandalous Women and tagged 1800s, 19th Century, Courtesans, Harriette Wilson, Historical Novels, Historical Romance, history, Jane Lark, Lady Berwick, regency, regency books, writing. Bookmark the permalink.